New research from QuoteWizard (a LendingTree company) found that those who are enrolled in Medicare are often eligible for a deduction. Reprinted with permission. Visit here. Americans spend a lot of money on healthcare each year. In fact, the latest figures from the US Bureau of Labor Statistics found that the average US household spent over $4,600 on healthcare in 2016. More than $3,000 of that went toward health insurance. Considering that’s around 10 percent of an average American’s household expenses, it makes sense that so many of us would like to get a bit of that money back at tax time. The good news here is that some health insurance costs are tax-deductible. As for the bad news: not everyone can take advantage of those write-offs. This article covers situations when you can and can’t make tax deductions for your health care costs, and how you can go about doing it. When Are Health Insurance Expenses Tax-Deductible? First, let’s go over when you can write off some of what you spend on health insurance as tax deductions. There’s more to it than that, unfortunately. For example, you can’t just deduct all the after-tax dollars you spent on health insurance from your income at tax time. You have to meet other criteria as well to qualify for this deduction. That’s true whether it’s money you spent on an employer-sponsored health plan or on Medicare. The government also makes you jump through a few hoops if you want to write off insurance expenses while self-employed. Want to write off all that after-tax money you spent on health coverage over the last year? Here’s what you’ve got to do to make that happen. But you can’t deduct all the after-tax money you spend on health insurance premiums, copayments, and the like. You can only deduct the amount that goes over 7.5 or 10 percent of your AGI (depending on the year). To give this example some real-life relevance, imagine your AGI is $60,000. Now imagine your qualified medical expenses (learn more about qualified medical expenses in the “Other Frequently Asked Questions” section below) are $7,500. When you go to prepare a tax return for 2018, you can write off $3,000 of those expenses. That’s because this year you’re only able to deduct the amount that is above 7.5 percent of your AGI. Multiplying $60,000 by .075 (7.5. percent) gives you $4,500. Subtracting $4,500 from $7,500 (your total qualified medical expenses) gives you $3,000. This is the figure you use when you prepare that year’s tax return. The thing is, you must itemize your medical expenses to claim this deduction. And when you claim this deduction, you can’t also take the standard deduction. That’s a big deal because the standard deduction – now $12,000 for individuals and $24,000 for those who file jointly – may well be higher than this medical expense deduction. If that’s the case, you obviously want to use the deduction that will save you the most money. In other words, don’t assume your overall medical costs are high enough for this deduction to be worth it. Run the numbers and compare what you’ll save if you itemize your medical expenses to what you’ll save with the standard deduction before you finalize your return. If you’re on Medicare, you can follow the steps shared above to write off your premium payments at tax time. If you pay for Medicare Part A, your monthly premiums count as qualified medical expenses. Which means you can claim them as tax deductions if you itemize your return. Everyone who enrolls in Medicare Part B has to pay monthly premiums for it. The standard premium amount in 2018 is $134, though some Americans pay less than that. Like Part A, you can write off Part B premiums if you itemize your medical expenses when you do your taxes. The IRS considers any premiums you pay for Part C, Part D, or MedSup coverage qualified medical expenses, too. And you know what that means: you can claim them as tax deductions if you itemize your return. Want to learn more about this type of health insurance? Read our “Guide to Medicare.” Or check out this article about Medicare Part D. You might find our article about Medicare Supplement useful, too. Be honest now: you read earlier that self-employed people can deduct health insurance payments from their tax returns and you got excited, didn’t you? Well, get ready to become even more excited. Why? Taking advantage of these write-offs when self-employed is a lot easier than doing so in the other situations we’ve discussed. 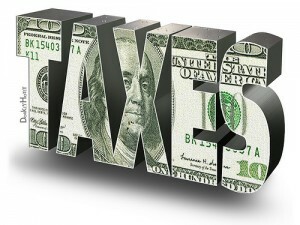 The main reason for that is you don’t have to itemize your deductions while self-employed. You also don’t have to worry about your medical costs adding up to a certain percentage of your AGI. Instead, the deductions we’re talking about here are of the “above the line” variety. That’s a fancy way of saying you can enter them as standard deductions on the first page of your 1040 form. Before you waste too much energy jumping for joy, know this: you still need to clear a couple of hurdles before you can benefit from this deduction. You must make a profit. If you don’t make any money you can’t write off your health insurance premiums in this way, according to com. Your deduction can’t exceed the amount you earn while self-employed. To put it another way, you can only deduct as much as you made during the year in question. You can’t be eligible for or have access to employer-sponsored health coverage. That includes through a spouse. This deduction only covers health insurance premiums you pay for while self-employed. It doesn’t cover other medical expenses, too. When Aren’t Health Insurance Expenses Tax-Deductible? Now that you understand when you can claim health insurance expenses as tax deductions, what about when you can’t claim them? Do you get health coverage through an employer–or through a spouse’s employer? And does that employer pay all or some of your plan’s premiums? If so, you can’t write off that amount, according to the experts at TurboTax. If your employer only covers part of your health plan’s premiums, though, you might be able to deduct the amount you paid toward them from your next return. All of this holds true if your employer is a government entity, by the way. Does your employer take money out of your paycheck to pay some or all your health insurance premiums? And is that amount taken out of your paycheck before your income taxes are calculated? If so, that means you pay your premiums using pre-tax dollars. That’s a no-no if you want to deduct those costs from your next tax return. Why can’t you write off these payments? Your employer takes money from your paycheck to pay for your health plan to give you a bit of a tax break. If you claimed that amount again while preparing your yearly return, you’d be double-dipping. Unsurprisingly, Uncle Sam isn’t a big fan of that sort of thing. The premium tax credits and cost-sharing subsidies for marketplace plans help a lot of Americans pay for health coverage. The tax credit does so by lowering their monthly premiums. The subsidy does so by reducing the deductibles, copayments, and coinsurance costs tied to these policies. As you might suspect, you can’t write off the tax-credit or subsidy amounts come tax time. You may be able to write off the remaining amount, what you pay out of pocket for your premiums, however. If you’re self-employed, you don’t need to worry about this. If not, you have to itemize health insurance and medical expenses for your tax return. You’ll only benefit from this if your overall medical expenses (including dental bills) are greater than 7.5 or 10 percent of your AGI, depending on the year. Q: What is adjusted gross income and how do you calculate it? A: Your adjusted gross income, or AGI, is your total (or “gross”) income for in a year minus certain deductions. If you prepare your own tax return, Form 1040 lays out which adjustments you can and can’t use in this situation. Note: the government limits most of these deductions or reductions in various ways. For example, it currently caps student loan interest payments at $2,500. As for how you calculate your taxable income, subtract any exemptions and deductions you qualify for from your AGI. Q: What does “itemize your deductions” mean? And how do I itemize my health insurance or overall medical expenses in this way? A: While preparing your return, you can lower your taxable income in one of two ways. A second option is itemizing your deductions. When you do this, you list individual expenses on your tax return. Then you combine them and use the resulting amount to calculate your AGI. Why would you choose one over the other? You might save more money if you itemize your deductions rather than take the standard deductible. Itemizing might make sense for you if you rack up a lot of out-of-pocket medical expenses in a single year. The same could be true if you spend a lot on mortgage interest or property taxes during the same period. You can’t use the 1040A or 1040EZ forms if you want to go this route, by the way. For that, you have to use Form 1040 and list your itemized deductions on Schedule A.
Q: Which medical expenses can I use if I want to itemize my deductions? Health insurance premiums and even copayments count, too, of course. So do premiums for long-term care insurance and other often-overlooked medical expenses. Q: I have a Health Savings Account and use it to pay some of my health insurance costs. Are those payments tax-deductible, too? A: Many Americans use Health Savings Accounts, or HSAs, for deductibles, copayments, and coinsurance costs tied to their health insurance plans. They do this because they can set aside pre-tax dollars to fill these accounts, and that saves them some money in the long run. Should you do the same, don’t forget that you can’t include HSA funds used to cover various health insurance costs among your itemized deductions. Which makes sense, as you get a tax break when you first contribute to the account.